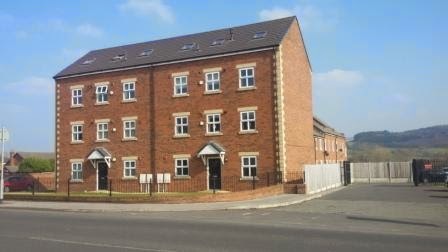 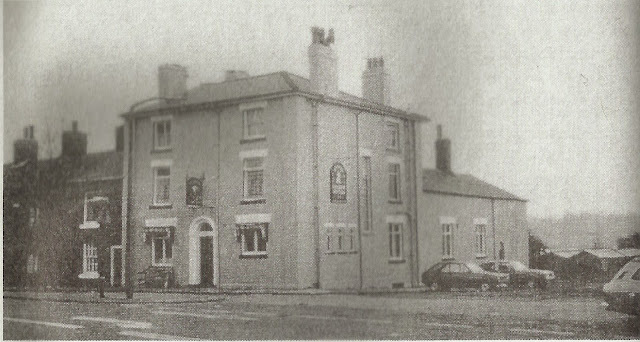 The Talbot Arms was a prominent landmark on the way out of Chorley on the road to Blackburn, situated at the top of Botany Brow near the junction with Eaves Lane and close to the Hygienic Laundry; both buildings have long since been demolished and the site of the Talbot is now occupied by a new residential development aptly named "Talbot Close". 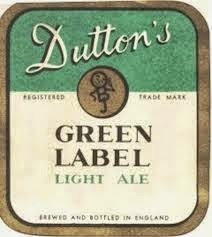 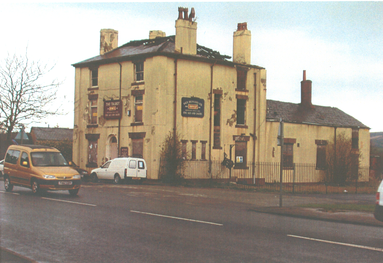 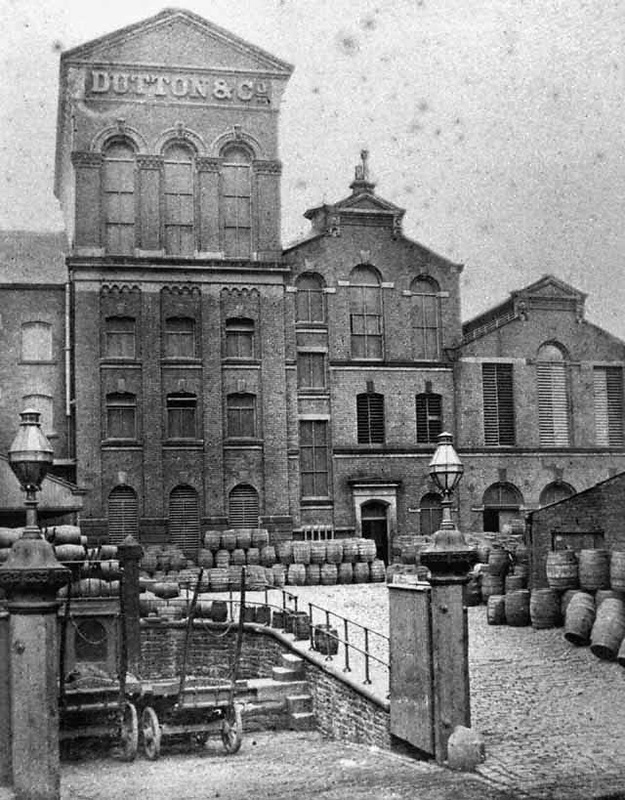 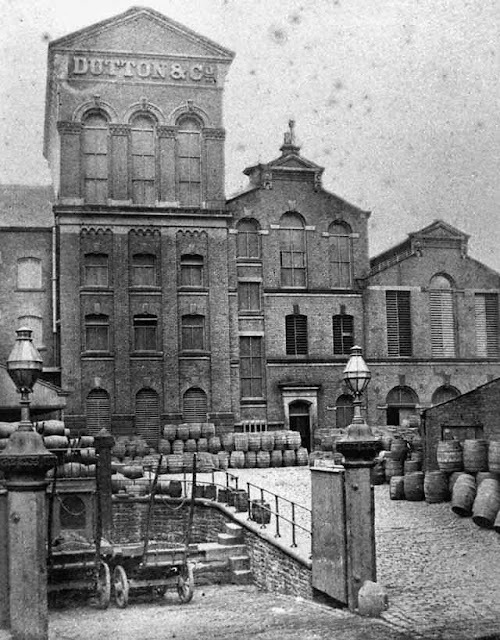 The Talbot was a Dutton's pub, which was a family run brewery based on Bow Street in Blackburn. 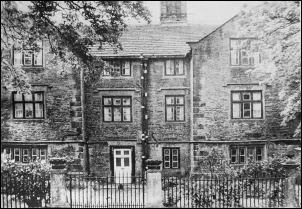 The Talbot family lived at Bagganley Hall at Healey and succeeded their relatives the Parkers who had been Royal park rangers of Healey; the hall itself was demolished in the mid 1900's prior to the building of the M61 Motorway. 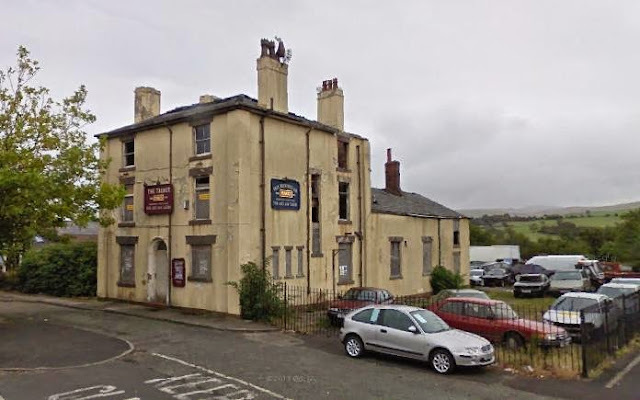 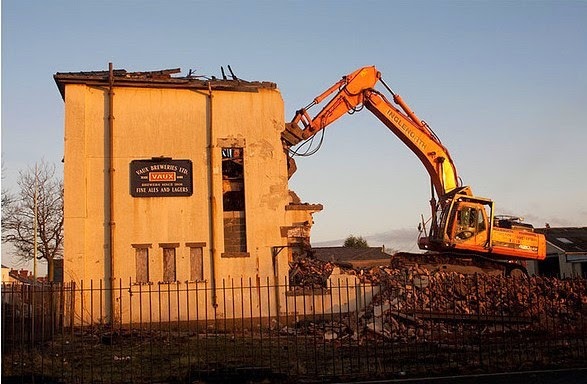 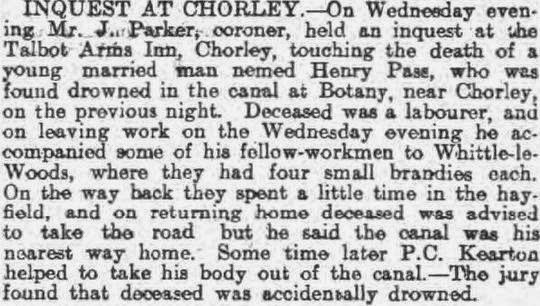 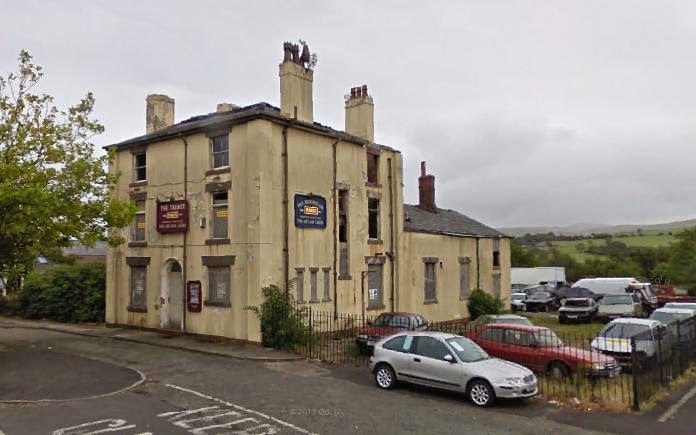 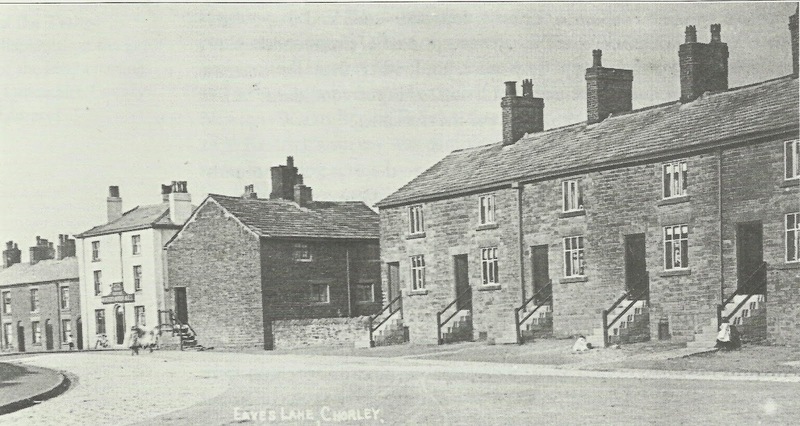 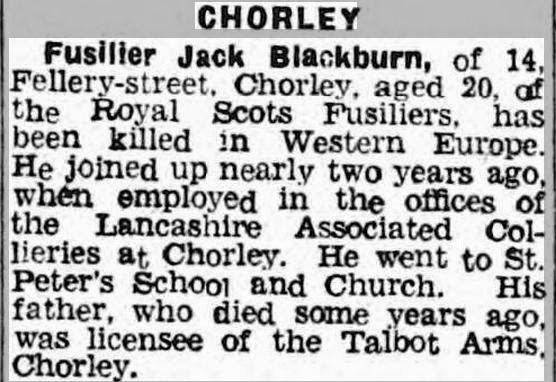 They were not alone in having a pub built locally to bear their arms, as Chorley had a number of other family-owned pubs and hotels such as the Parker's Arms, Brooke's Arms, Gillibrand Arms and Towneley Arms. 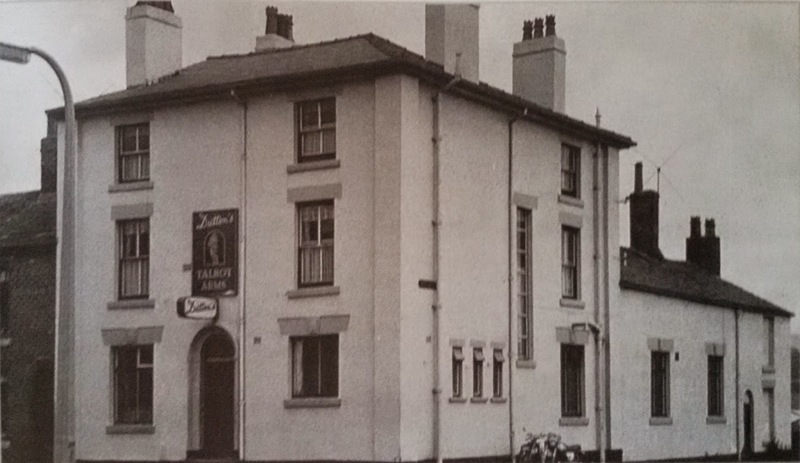 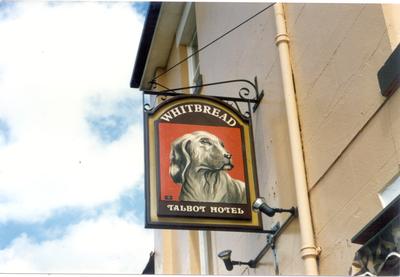 For the best part of half a century the Talbot was run by the Rigby family, listed landlords being William Rigby (1865-76), his son Robert Rigby (1881-1901), William Goulding (1911) and Richard Blackburn (1936). 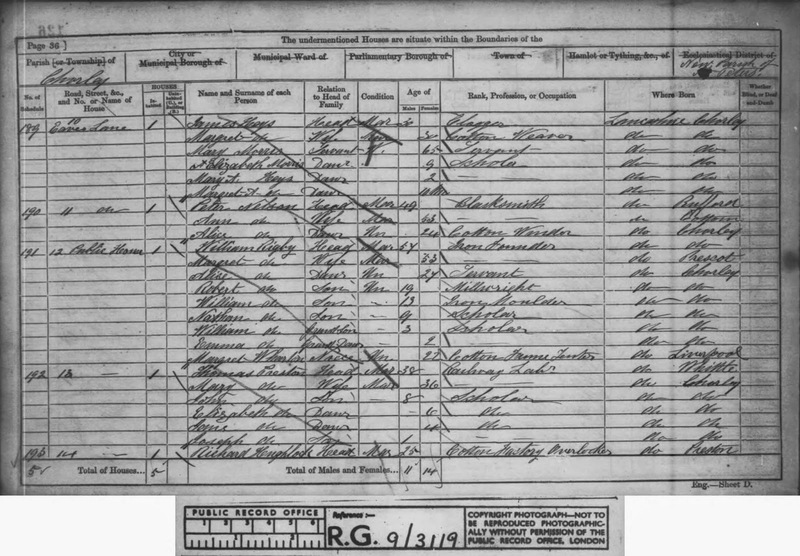 Records show that on 20th July 1841 when Robert Rigby was baptised at St. Laurence's church, Chorley his father William Rigby was not working as a landlord and was listed as a joiner so when he entered the trade is not known. 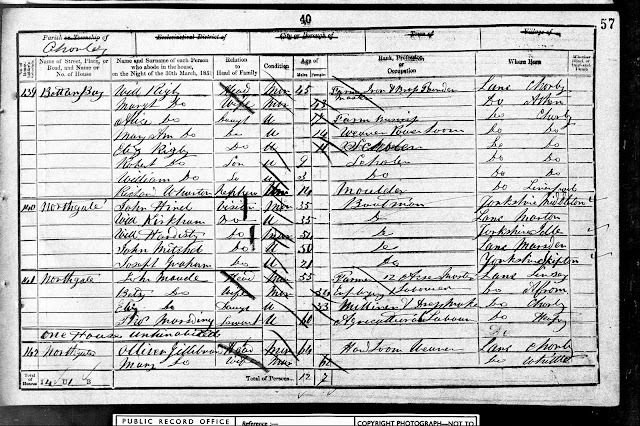 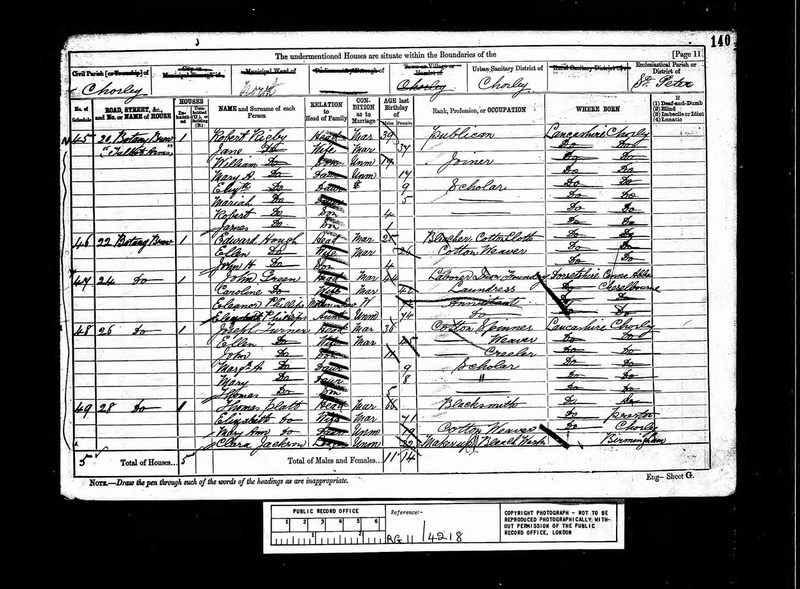 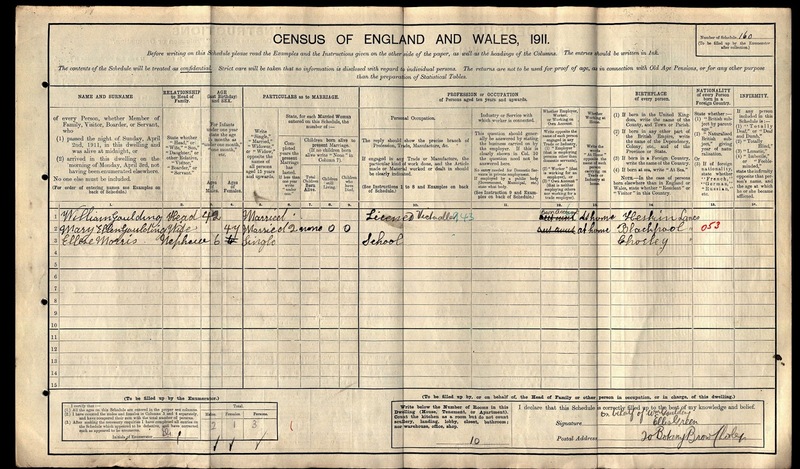 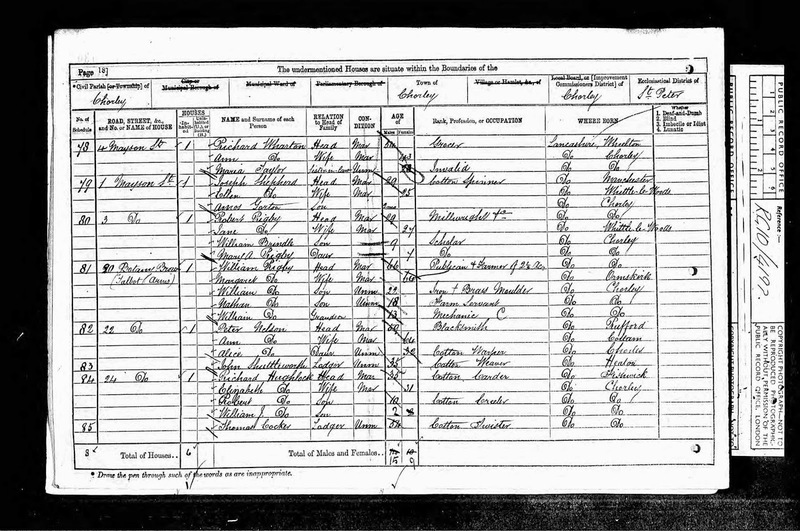 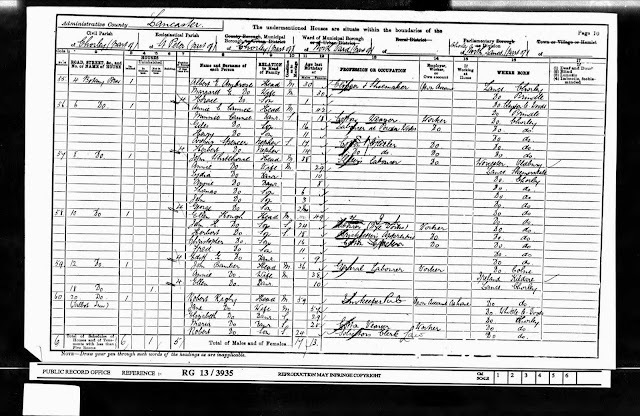 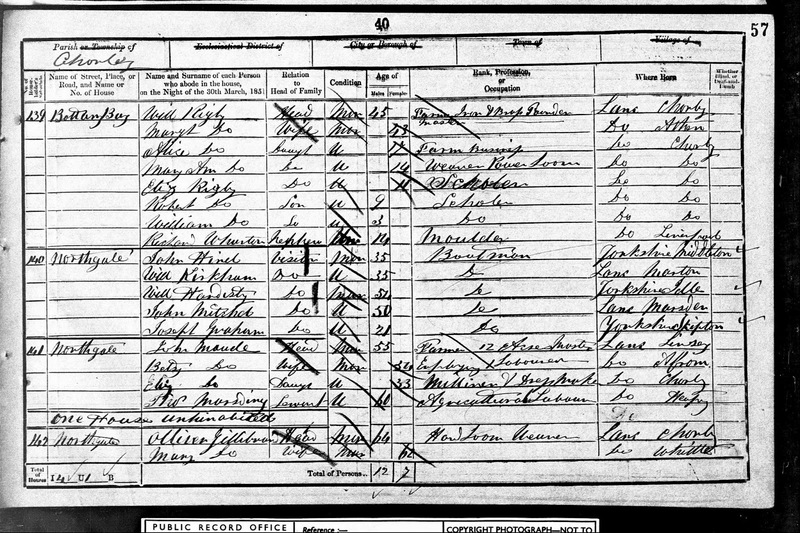 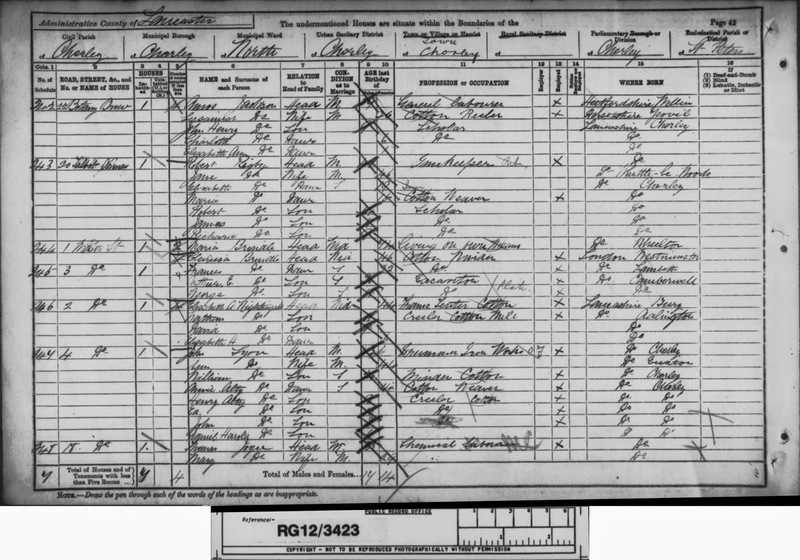 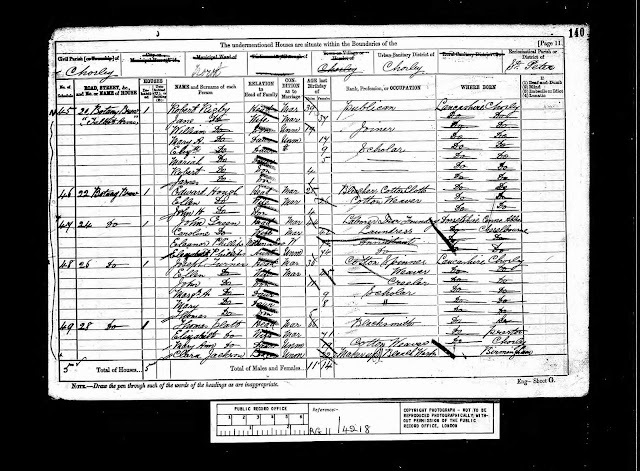 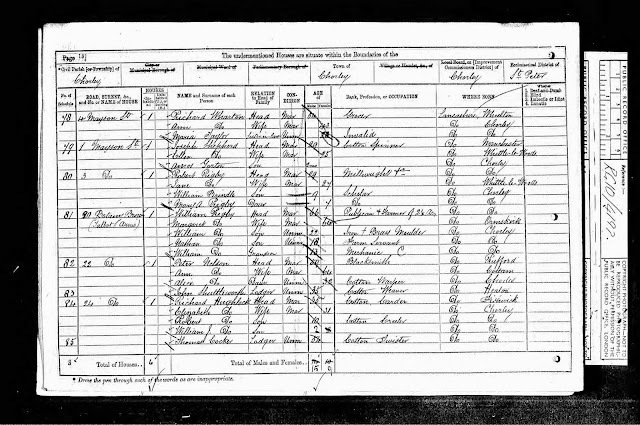 Census returns above for 1851 and 1861 show the Rigby family were living at the top of Botany Brow/end of Eaves Lane and William was listed as a farmer and iron founder...on the 1861 their house is also listed as a public house, which seems to confirm that the Talbot Arms dates back even further into the 1850's. at the top of Harpers Lane @ Eaves Lane now long gone.